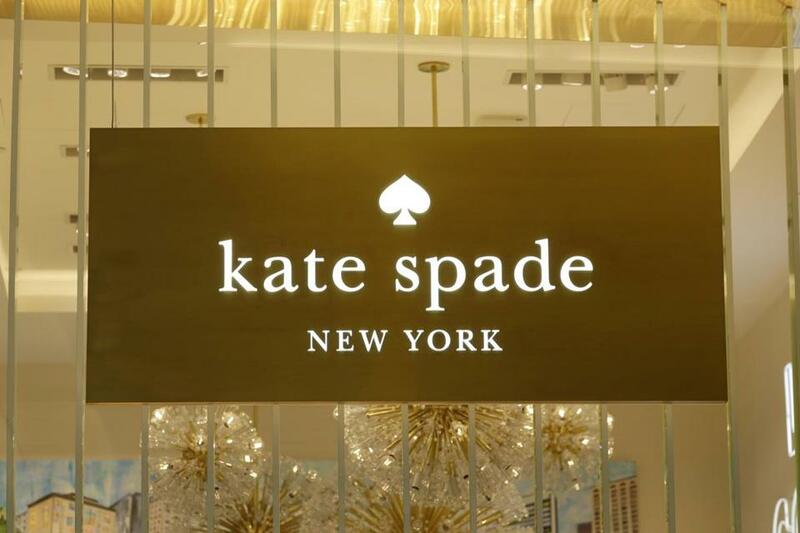 A Kate Spade sign hangs in the window of a New York store. This story is from the Boston Globe archives. It was originally published on July 14, 1999. Kate Spade giggles when she talks about money. Not long ago, she was earning $14,500 a year as an accessories editor at Mademoiselle. Fed up with limited choices in handbags, Spade started making her own. Undaunted by her lack of design experience, she got out the Scotch tape and drawing paper and made prototypes in a rainbow of colors and fabrics. Who knew? What began as a small company six years ago in her apartment generated $28 million in sales in 1998. And nobody could have predicted that Neiman Marcus would buy 56 percent of the New York designer’s company this year for a cool $33.6 million. ``It doesn’t even make sense,’‘ she says, giggling, during a recent visit to her Newbury Street store. This is what it takes to make it in the fashion industry: good instincts, an outsider’s perspective, and get-up-and-go. Not so Spade’s designs. Picture a square straw purse with large colorful flowers woven onto it. Or a silk tote adorned with bright pink and red alternating stripes. How about a red silk-satin evening clutch? Spade, whose philosophy is ``bags should assume the personality of the wearer, not the reverse,’‘ specializes in classic shapes (totes and clutches, mostly) modernized with fashionable colors (including pink, red, and black) and materials (silk, canvas, nylon, and leather). Her prices range from $130 to $500. And women love them. Known as Kate Brosnahan back then, she majored in journalism at Arizona State University in the early 1980s. She met her future husband and business partner, Andy Spade (a fellow student whose brother is actor and comedian David Spade), when they were both working at a men’s clothing store. After graduation in 1985, the duo moved to New York. Andy, now 37, took copywriting jobs at ad agencies like Saatchi & Saatchi and TBWA/Chiat/Day. Kate landed at Mademoiselle. She left Mademoiselle and used her entire $6,000 401(k) to buy fabric, have patterns made, and manufacture samples. Andy, who continued working in advertising until 1996, when he became company creative director, paid additional bills as needed. ``Our initial investment was about $35,000,’‘ she says. Common sense would say that Spade used her industry connections to find a manufacturer and distributor. But the former editor says, ``I was nervous about calling people. Since I had seen so many collections in advance, I thought people would be afraid I’d copy them.’‘ Instead, she used the Yellow Pages and the library at the Fashion Institute of Technology to find a manufacturer. When enough samples arrived, Andy and Kate signed up to attend a trade show in New York. But the night before the event, something about the bags nagged at her. ``There was something missing. We needed something for the eye to go to,’‘ she says. So she stayed up all night switching her black ``Kate Spade New York’‘ labels from the inside of her bags to the outside. ``You can imagine pushing through all that cardboard with a needle,’‘ says the designer, whose fingers grew puffy from the effort. Before long, Neiman Marcus, Saks Fifth Avenue, Nordstrom, and Bloomingdale’s were carrying the line. Then Spade opened her own freestanding stores in New York, Los Angeles, and Japan in 1996 to 1998. In January, Neiman Marcus bought a stake in the company as a partner with no day-to-day involvement. Now her accessory lines include an eclectic mix of colorful wallets, day planners, stationery, and trench coats. In November, she’s unveiling shoes that -- like her bags -- will come in a few shapes and many fabrics and trims. This year, the company is also introducing a new men’s line that features luggage, duffel bags, messenger bags, and trench coats. Called Jack Spade, the line will be designed by Andy and sold in separate Jack Spade stores. ``It will be very masculine and utility-driven,’‘ she says. It’s no surprise that Kate Spade’s personal style is a lot like her bags: classic, fun, feminine. Her chummy demeanor is reminiscent of a best friend from grade school. During her recent trip to Boston, the bubbly 5-foot-2 brunette wore a pink 1950s style swing dress, strappy black sandals, and hair coiffed in an upswept do. Strolling down Newbury Street in a lighthearted mood, she explained why she decided on Boston for her third US store. ``I think there’s a sensibility here that’s simple. I think women have a great sense of style but fashion is not their main priority. . . . That customer makes sense for us,’‘ she says. ``This is not a terribly trendy city and that works for us because we don’t want to be trendy either. We hope to be around for a while,’‘ she says.